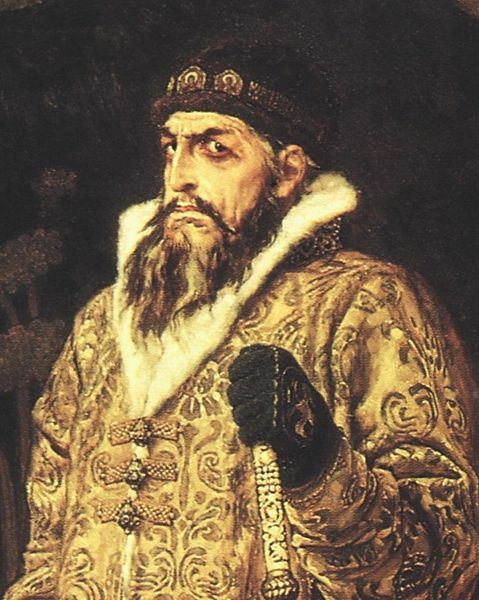 One idea with which I’ve been toying has been of running a Mythic Russia game (or even, in the long term, producing a Birchbark Chronicle on the subject) in the time of Ivan the Terrible, who reigned between 1583 and 1584. It’s a fascinating later period: Russia is unified and pretty thoroughly Christianised, Constantinople has fallen, the Mongol-Tatars are Moslems and just a shadow of their old selves (one of Ivan’s triumphs was the defeat of the Kazan khanate), Lithuania is no more a great state, the Teutonic Order is much diminished… but Sweden is the new Baltic power, the Ottoman Empire is rising to the south. Nonetheless, the greatest challenges are from within. Ivan starts as a modernising monarch (he’s the first to use the term ‘tsar’), but becomes increasingly erratic, paranoid, murderous. 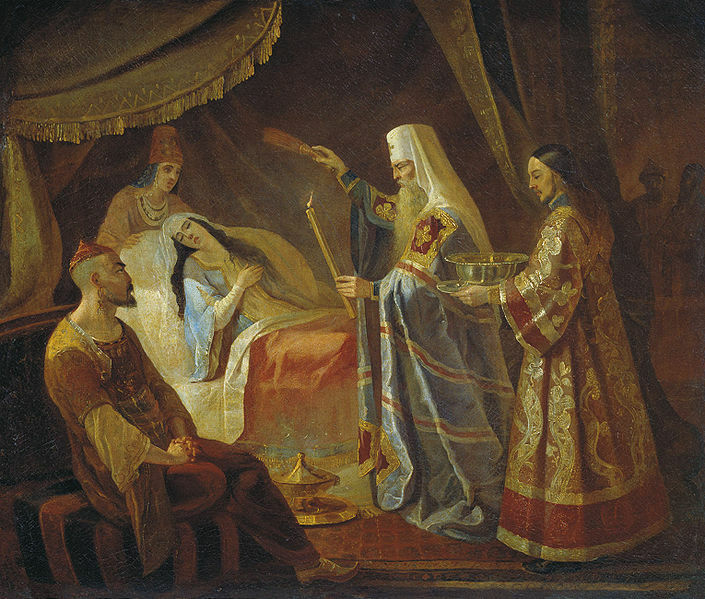 He kills his elder son and heir (by accident), turns on the aristocracy, and for a while divides Russia into a small personal realm (the Oprichnina) ruled by his picked band of thuggish cronies (the Oprichniki) and the larger portion of Russia (the Zemshchina). He ultimately reunites Russia, but tears it apart through purges and futile foreign wars, such that his death plunges Russia into a prolonged period of anarchy, invasion and war, the Time of Troubles. Despite the efforts of sundry ‘False Dmitris’ claiming to be Ivan’s (not dead, after all) heir, a Polish invasion, and the ambitions of the adventurer Boris Godunov, ultimately it was the Romanovs who rose to power, starting the dynasty that lasted until 1917. There is enough passion, adventure and peril here as is, especially when you add in such probable fables as Ivan’s lost library (said to include 800 priceless books from Constantinople, hidden somewhere in Moscow). Then add in the Mythic twist: did Ivan’s increasing insanity represent possession by the Kam? Or his replacement with an evil changeling, leaving the true tsar hidden somewhere in the Other Worlds? 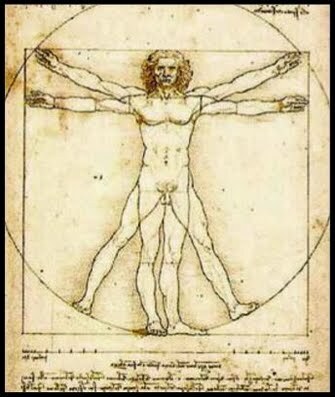 Were the Oprichniki secret pagans, or Kam-worshippers themselves? Maybe the ‘False Dmitris’ were not imposters but revenants, the real heir brought back to life by either divine bounty or else sinister necromancy? Perhaps Koshchei the Undying was behind these efforts to take the throne? Watch this space. Medieval re-enactment is a worldwide pursuit, but sometimes you find people who take it to particular extremes… and of course that’s a good Russian trait! 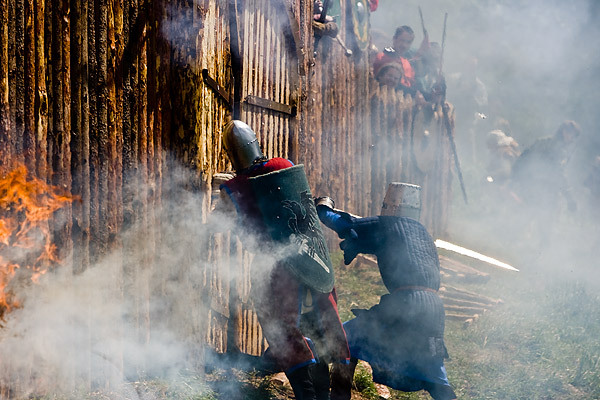 I have no idea of the context or even quite where in Russia this took place, but this sequence of pictures on the English Russia website shows what seems to be a particularly muscular bit of re-enactment, including firing the wooden fort… There even seem to be some Teutonic Knights in the mix!